Check if the facilities provided in the hotel room are in favour of kids. It is such a relieving thing for parents to know that the facilities provided are in favour of their kids. 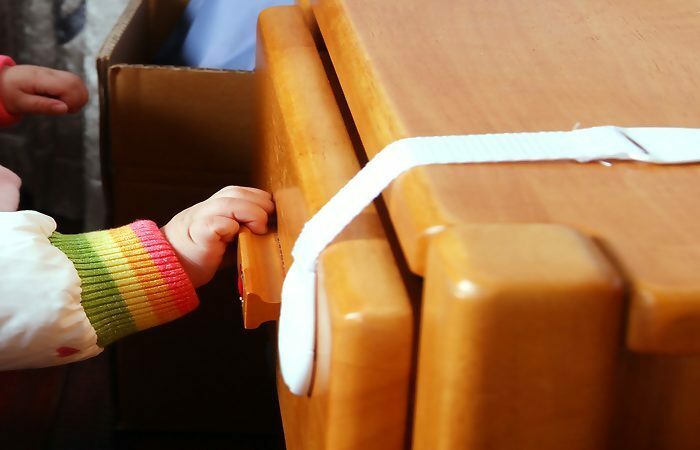 The plastic locks called latches help in keeping drawers and the doors of cabinets closed safely. The door locks which are placed out of reach of children keep them away from sneaking outside or to the balcony. The outlet covers are made of plastic so that it protects the child’s finger from getting electrocuted. Before checking in, do a complete hotel room inspection and ensure the safety for kids. Check if there are separate areas for adults and kids sleeping in the hotel room. 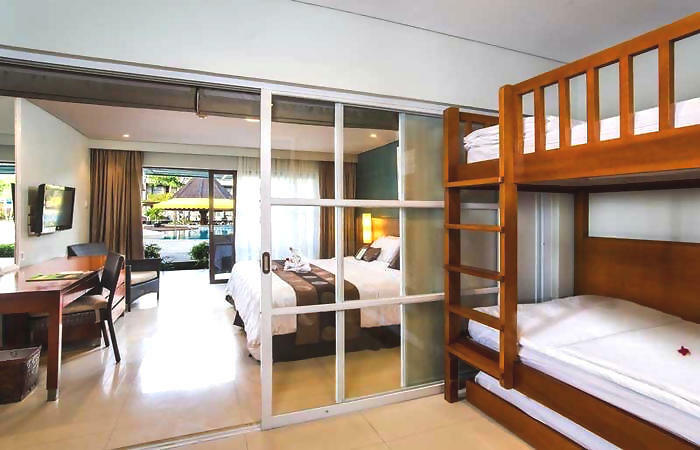 There are hotel amenities provided like the ideal arrangement of furniture called Bunk beds for kids with big families. There are separate areas for adults and kids sleeping. The two areas are usually separated by a curtain. The hotel guide is of great help if you experience any kind of discomforts. 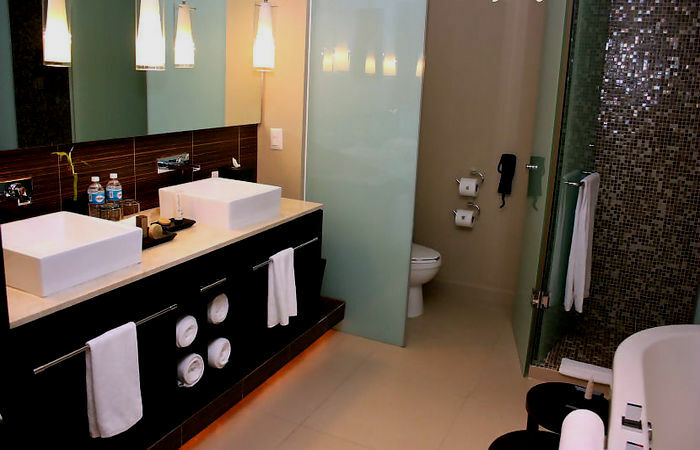 Check during hotel room inspection, whether there are separate areas for sink and vanity. A good bathroom means to have the sink and vanity separately. This way two people can get ready at the same time. The height of latest countertop is too high for small children to make a reach to the sink and spigot. The families must be able to fill in the bathtub or sink to clean bottles, clothes, or dishes. There is a clothesline that is retractable to hang washed clothes and swimsuits. Availability of multiple hooks on the wall, because a big family means there are many towels that are needed to be hung and dried. Extra sets of pillow cases, towels, and plastic cups are provided so that the guests don’t have to call the room service again and again. The preparation of food and space for eating. A big family means there has to be the availability of food all the time. Some people in order to cut out the expenses pack up their own snacks and eatables. There are facilities provided like refrigerators and microwaves to make the guests feel like home. One table doesn’t serve a big family. In such cases, lap desks can be put to use. 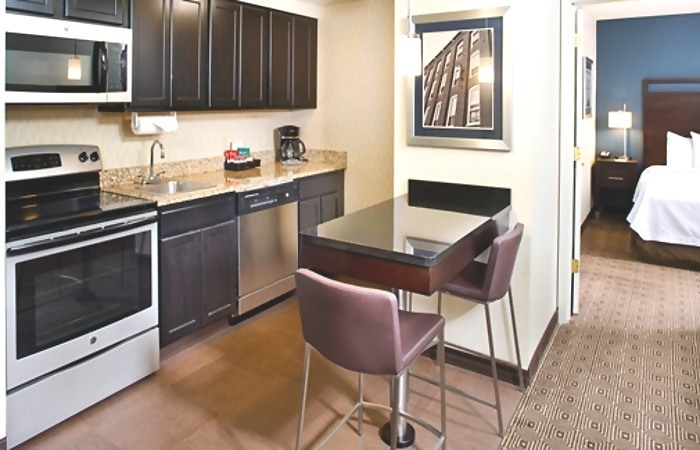 Ask the hotel authority about the facilities provided before hotel booking. The ease provided by technology. These days even small children have smartphones in their hands. Some of the other hotel amenities are free Wi-Fi, charging sockets with many outlets and also USB ports, alarm clocks are provided with iPod docks and an option of ‘white noise’. The information about keeping pets is in the hotel guide. There are few questions you must be thinking i.e regarding your lodgings. 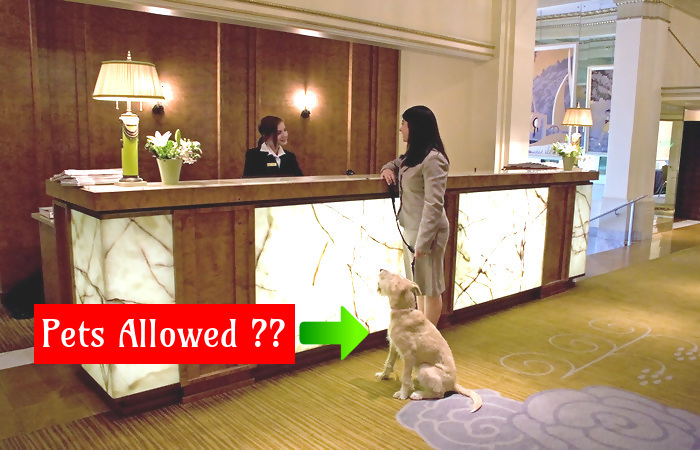 They are ‘Does the hotel authority permit pets and of what size?’, ‘What is the size of the room?’, ‘How much is the room tax?’, What are the timings for check-in and check-out?’, and ‘What is the policy for hotel cancellation?’. The information about all this is in the hotel guide. 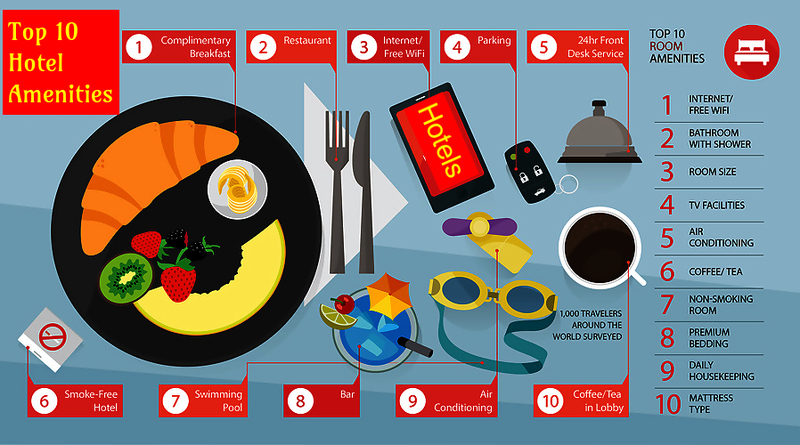 Check these top 10 hotel amenities also. There are other really impressive facilities in good hotels like the slippers and robes of child-size, there are small treats given to the kids while checking in, or sometimes cookies and milk are delivered to the room, and if the property has laundry options then complimentary laundry items are provided. The families which need information on nearby pharmacies and supermarkets, the restaurants that are family-friendly and playground and parks for kids are given with brochures and articles. The empty walls in the hotel room could be put to use. The wall hooks offer a good place to hang your backpack, purses, or coats. Benches could also be placed to provide extra storage and seating space. Big families have big luggage and a single rack is not enough for them. Hence, more drawers or bigger furniture with additional drawers will do the trick. There are drawers underneath the platform beds which are of great help. To avoid any kind of surprises while you stay in the hotel, it is recommended to do a hotel room inspection. Always check your reservation and belongings while leaving the hotel room. 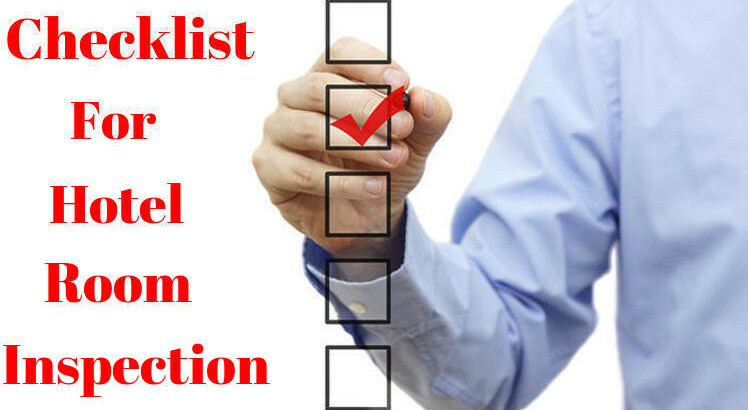 Make sure that you have checked the confirmation for any mistakes as soon as you get it. Ensure that you have read the insurance policies of travel carefully because the insurance policy will help you if the trip is cancelled.